Breanna Maghazey-Hayes began dancing at an early age of 3 and was trained in both BAL and RAD Classical Ballet, BAL Tap, LGTDA Tap, Jazz, Contemporary & Musical theatre. One of MANY great achievements was receiving the highest marks in Australia & New Zealand for her Elementary BAL Ballet exam. Over the years Breanna has performed in many Eisteddfods and competitions, always receiving fantastic results. 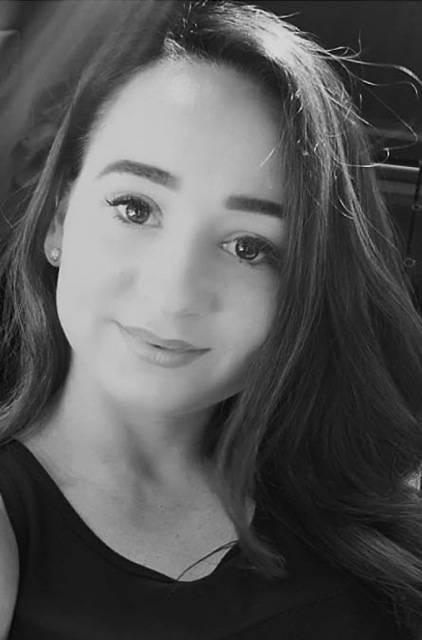 In 2010 Breanna was accepted to attend Full-Time at Brent Street however turned down the offer to continue teaching to pass on her knowledge and love of dance which she is very passionate about. She is enthusiastic, high energized and Professional. Students are pushed in her classes and expected to give nothing less than 100%. Breanna often attends open classes here in Sydney and Melbourne whenever possible and keeps up to date with choreography trends and styles so her students stay up to date with all genres of dance. In 2010 Breanna became Principal/Director of her successful growing Dance School Coastal Dance Academy (South West Rocks) which she continues to operate with 11 years of teaching experience. Breanna has taught at many prestigious Dance schools and Schools in Port Macquarie and Melbourne, as well as currently teaches Dance Programs in schools such as Melville High School, Frederickton Public School and Lower Macleay Pre-School to name a few. The last couple of years Breanna has taken part in Stars of The Hastings where she and her dance partner won judges choice (Judge-Paul Mercurio), Dance Champions 2015, as well as highest fundraiser award for Cancer Council NSW. Breanna also Participated in Stars of the Hastings 2016 (Judge-Helen Richey) winning people’s choice and raised another $12,000 for the Cancer Council NSW. Breanna has taught two students who now dance with the Australian Ballet and a number of other students who are dancing professionally all around the world. “I want every student to walk out of my class fulfilled yet exhausted, taking something from that class whether it be a new step or a correction and looking forward to the following week”.